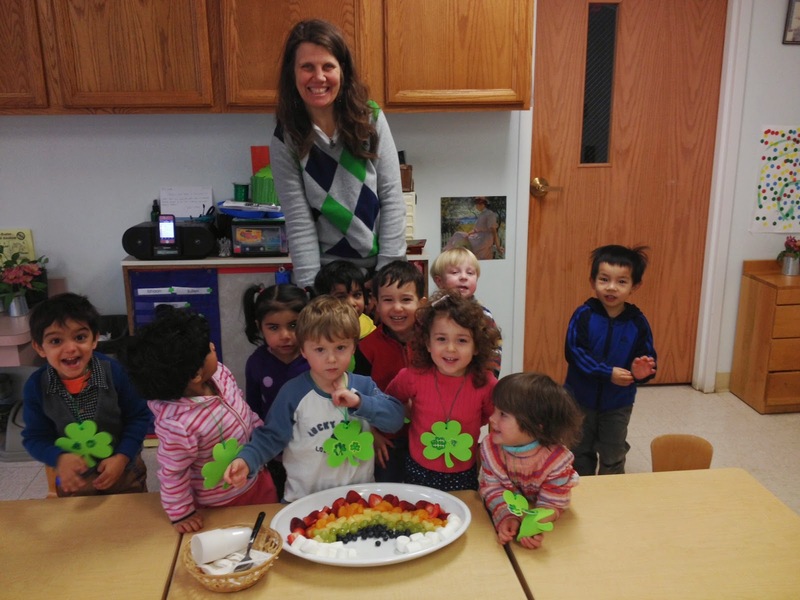 Irish festivities were found in each classroom in honor of St. Patrick. 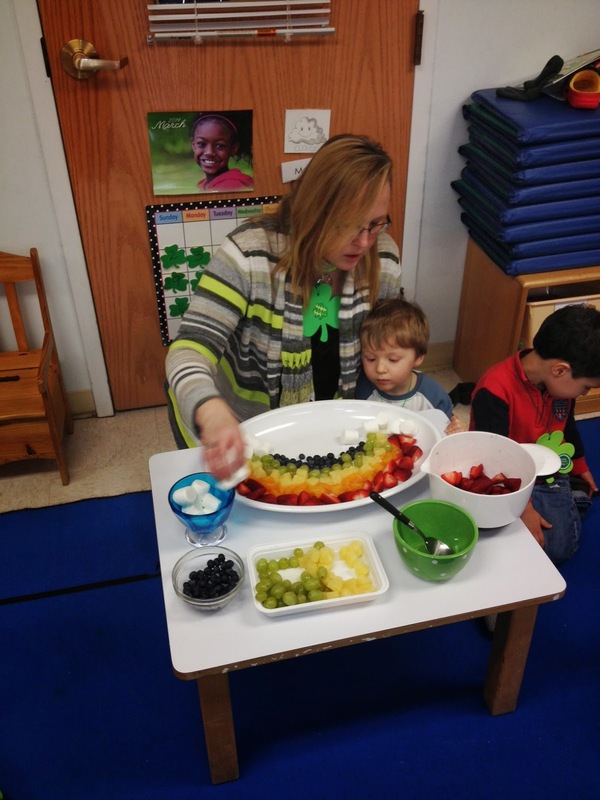 Children enjoyed songs, work, games, books, food and a leprechaun's pot of gold left just for them! Remember there is a pot of gold at the end of the rainbow and if you ever catch a leprechaun he is obliged to tell you where he hid the pot of gold! Wow, look at our pot of gold!